Have You Ever seen one of these? I'd only seen them on TV.. but the other day at the lake..lo and behold. 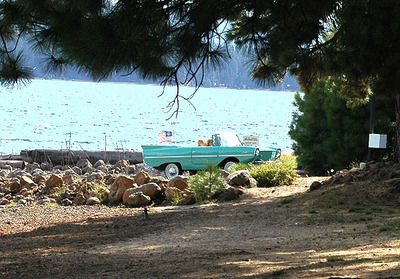 There it was... the sweetest little Amphicar ever. Everyone stared. And waved. They didn't go out in the giant lake but stayed in the little marina. 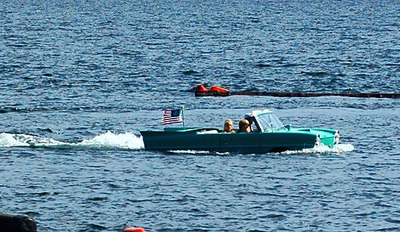 I just love these little car boats. One minute in the water..and the next they drive away. Look.. there is even a website! Moving. I don't mind moving. I like it too much actually. I get bored easily. That is not the reason I'm here though. Blogger is giving me fits. I want a blog that works FOR me.. not againist me. Let's give this place a try.